Last time I showed you how to make a healthier, thriftier vegan caramel frappuccino. 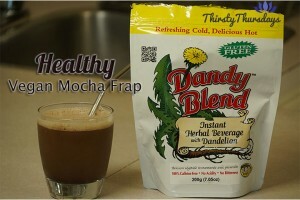 This week I’m going to show you my secret no-guilt iced coffee drink. Since I suffer from migraines, I abstain from the chocolate. So, I’m going to show you how to make this with carob, however you could totally make this with raw cocoa as well. Also, one thing that has been super helpful in reducing my headaches and migraines is eliminating sugar from my diet. So I will be sweetening my frappuccino with stevia. The nice thing about carob is that it is already naturally sweet. 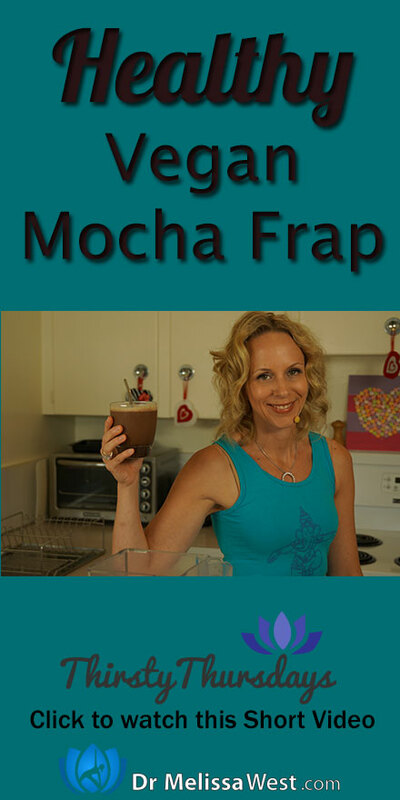 So let’s get down to making our healthier, thriftier vegan, mocha frappuccino. Blend all the ingredients in your blender and Enjoy. Previous post: Should you always practice for your dosha?